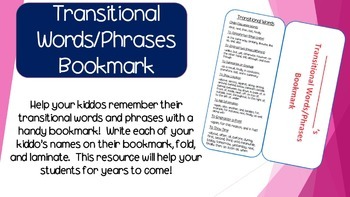 Help your kiddos remember their transitional words and phrases with a handy bookmark! Write each of your kiddo’s names on their bookmark, fold, and laminate. This resource will help your students for years to come!